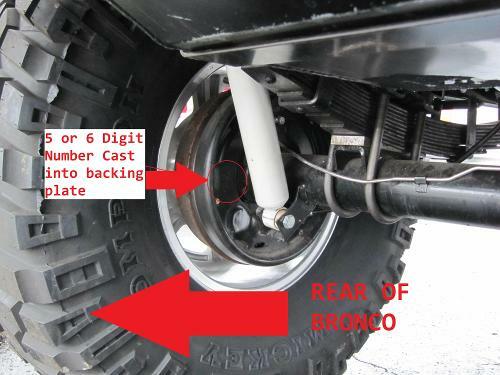 NOTHING stops your Bronco like our 4-Wheel Power Disc Brake Conversion. This is the ultimate kit if you are looking for safe, efficient braking. The standard kit is a combination of our three extremely popular brake kits. Our proven Rear Bolt-on Disc Brake Kit, our ever-popular Front Disc Brake Kit with Proportioning Valve and Bracket and our Ultimate Power Brake Kit for 4-wheel Disc Brakes. 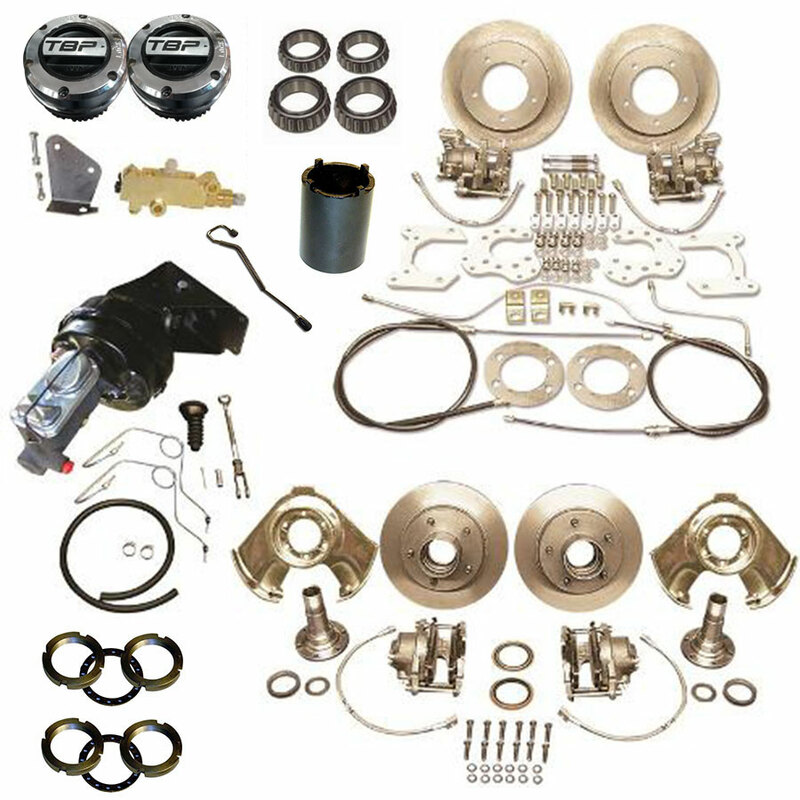 This Major Kit adds on the final touches with new locking hubs and wheel bearings. FOR EASE OF INSTALLATION, WE RECOMMEND PURCHASING NEW AXLE BEARING RETAINER PLATES. -- INSTALLING THIS KIT WITH STOCK STEEL WHEELS WILL REQUIRE SPACERS FOR CLEARANCE. If you have factory 5 1/2" wide wheels, you will need a 1/2" spacer along with longer axle studs. If you have factory 6" wide wheels, you will need a 1/4" spacer. BACKING PLATE NUMBERS FOR REAR DISC: It is essential for the customer to retrieve a backing plate number from the rear axle so that we can ensure you get the correct parts the first time. A photo has been supplied as to where to locate the backing plate number. These backing plate numbers are for 11" drum setups. If your number is not listed here, please look at our 10" setups to see if the number is listed there. The picture is referencing to the driver side. There is also a number located in the same position on the passenger side if driver side is unreadable. They just finished installation yesterday! Sweet kit. So nice to have updated brakes. My guy who installed this has done quite a few of these and said this was the nicest quality complete kit he has ever installed.